Uncategorized - Canopy Concepts, Inc. Anytime you spend a significant amount of money on a home improvement project, it’s in your best interest to have an idea of how it affects the value of your home. Patio covers, decks, and sunrooms all add value to your home, not just because they improve the overall aesthetic, but also because they add usable living space. For example, when we add a sunroom or patio enclosure to a home, we can always expect to see that become the most commonly used area in the house. It’s frequently used as a kid’s play room, a home office, or just a great place to gather the family. All in all, in the Los Angeles area, you can expect to recoup up to 50% of the cost of patio or sunroom installation when you sell your home. Decks and patio covers can be even more beneficial, potentially recouping 90-100% of the cost. Plus, these usually include lifetime warranties that are often transferable to the new owners. When buying dual pane or even triple pane windows you will probably be given option of the type of tint. Most jobs we install now use Low E tint and our customers are very pleased. The feature I am speaking of now is how the window system is sealed. This is very important, especially on a long term basis. When dual pane windows are manufactured a seal is placed around the edges and between the panes. This seal is to keep out moisture or other contaminants. If the seal fails moisture can get in between the glass panes causing condensation and even mold. At C-thru Industries, they use the Enviro Sealed system which is tested to last 120+ years. This is superior to Butyl spacers, polysulfide, polyurethane or hot melt butyl by a very wide margin. If you want more information please have a look the video at http://youtu.be/pahBisvqExo. This is a YouTube post and is very helpful. 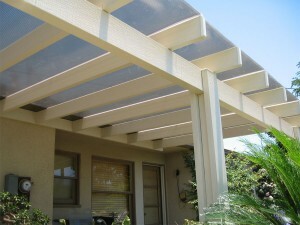 Over the past 15 years we have installed many sunrooms and patio enclosures. We have always been dissatisfied with the appearance of screws, rivets and caulk on the finished room. They are necessary to connect the wall and roof panels and to seal the room but they have an unfinished appearance if exposed. Now we have a solution from a new manufacturer. 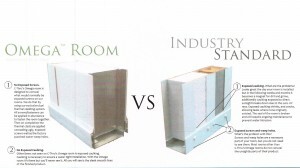 The Omega Room from C-Thru Industries has provided the answer. www.c-thru.com They have a vinyl cladding system that covers all exposed weep holes, screws, rivets and caulk. This gives the sunroom or patio enclosure a finished look. Now the caulk that is necessary for a water tight installation is covered and will not collect dust and dirt. The screws and rivets that are needed to connect the wall and roof panels are also covered giving a sleek finished look. Look for more new features in future articles. It comes in clear or bronze tint. 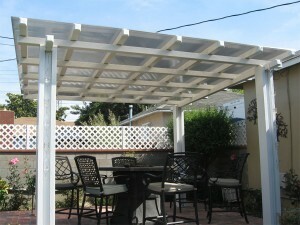 We are able to fabricate it to fit exactly on your patio cover. Glass cannot be fabricated on site. Polycarbonate comes with a ten year warranty against yellowing, cracking, etc. Polycarbonate is stronger than glass but much lighter. This type of cover gives you the benefit of a solid or full shade patio cover but allows most of the light to shine through. For the frame we use aluminum with an embossed wood grain finish. It is available in a variety of colors and carries a lifetime warranty on the finish. Now you can get protection for your outdoor furniture, pets, doors and windows. Choosing the right contractor for your home improvement project is a very important decision. A sunroom can cost upwards of $15,000 and the average lattice patio cover is between $3000 and $5000. That’s a lot of money to pay without knowing exactly what you are getting. Here are three steps to help insure you make the best decision. References are important and I recommend you get them but remember, no contractor is going to give you a reference unless they are sure the reference will be good. A good way to check out the potential contractor is to contact your local Better Business Bureau. The BBB is obligated to post the reviews of businesses not matter how good or bad the review. You can contact them by phone or look at their website. An even better background check is to contact the state license board in your state. In California where I work the Contractors State License Board website is www.cslb.ca.gov. All you need to do is enter the contractors license number and the website will tell you if there any complaints. More important they will let you know that the contractors license is current and they are carrying the required insurance. Insurance is important and I am amazed at how seldom a new customer asks for my insurance certificates. We include a copy with our sunroom and patio cover bids but seldom does a customer ask or inquire about them. Remember that if your contractor is not properly insured you as the homeowner are responsible for injuries to workers or damage to your property. Go over the details of the job and do not be embarrassed to ask questions not matter how silly they may seem to you. I encourage customers to ask questions because they way I see it they are spending a lot of money whether the job is a $3000 patio cover or a $30,000 sunroom. This is a lot of money and the customer has the right to understand what they are getting. Most problems on a job occur because the customer did not clearly understand what they are getting. If the contractor is vague or unwilling to spend time with you handling your questions then don’t hire him. Make sure every detail is covered both on the contract and in you discussion about the project. 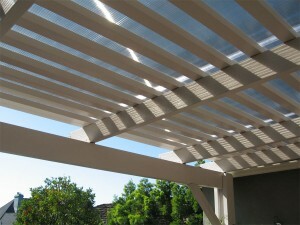 One of the most common calls we get for a patio cover is to cover a leaking deck or balcony. Usually the homeowner has tried several methods to fix the leak. Usually all the methods fail. “Water always wins.” A leak on a deck or balcony is almost impossible to fix. 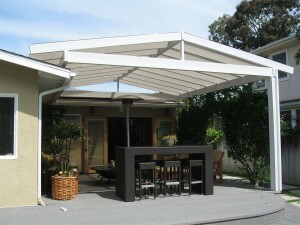 A solid patio cover, either flat pan or insulated, will usually do the job. The cover is installed with a one to two foot overhand and always comes with a gutter and downspout. The overhand is to prevent rain from dripping into the balcony. The additional benefit is that the windows and doors will also be protected and the rooms adjacent to the balcony will be much cooler. 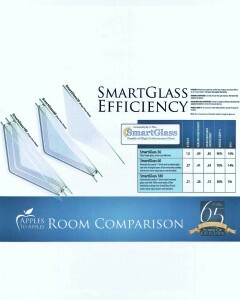 If you are concerned about the loss of light coming into the room look at our polycarbonate covers.